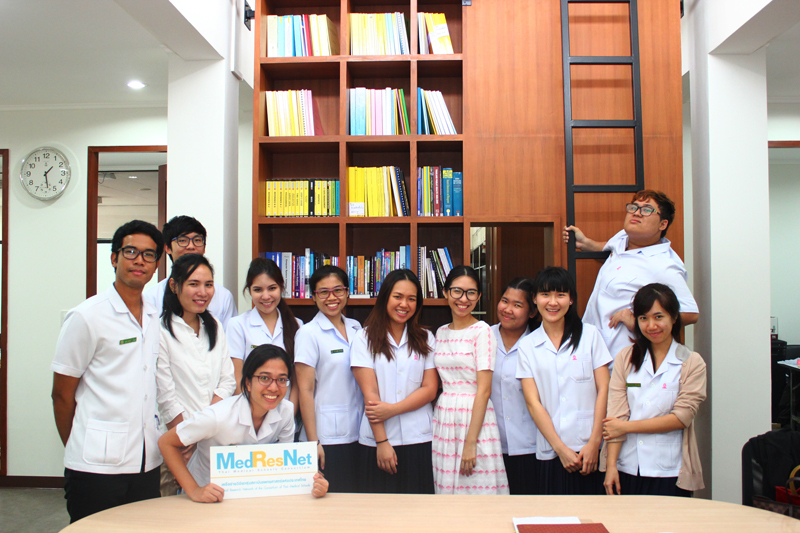 Medical Research Network, MedresNet is an organization to support the clinical research network in Thailand, to develop system and facilitate the collaboration for national and international clinical research. Another mission is training and education, MedResNet collaborate with Faculty of Pharmacy to serve as the clinical instructor and trainer for the Clinical Research Internship Programme. The 6th year Pharmacy student who interest and keen to know about the Clinical Research can select as their rotation. The programme is the combination of course work, workshop, assignment and real work with the Clinical Research Associate (CRA). During the course the intern will learn from Drug Development process, the overall of clinical research from planning, execution through the close out of the study. The programme has been continuing for 3 years and there have been 27 interns from Mahidol and Srinakarindwiroj Universities completed the training. In 2018 MedResNet welcome Chulalongkorn and Prince of Songkla University to join the programme.